Is it worth using Avios for hotels redemptions? This article looks at whether it is worth using your Avios points to book a hotel. Is it worth using Avios for hotel bookings? I generally try to stay away from the eternal question of ‘what is an Avios worth?’. Because, at the end of the day, it is a 100% personal decision. It is a decision based on numerous factors – where you fly, what cabin, whether you normally use a 241 voucher and (the one rarely considered) what class you would pay for if Avios flights were not available. Click here to read an article which is my best effort at answering the ‘what is an Avios worth?’ issue. What you can do, though, is put a floor of the valuation of an Avios. One way of doing this is to look at what they are worth if you redeem for hotel bookings since this is an easy way to cash out of your Avios pile if you had to. You can book a hotel with Avios miles via this page at ba.com (log-in required). As an experiment, I randomly picked four hotels in four cities for Saturday 18th May 2019. This is what I found, pricing up a four star hotel for two adults. I took the top ‘Best Sellers’ option in all cases. Cash prices included all taxes. 10 seconds with the calculator shows that these all give you a value per Avios of 0.55p – 0.56p. It is not quite that simple, of course. Is the ba.com ‘cash price’ fair? I turned to Expedia to check, adjusting the Avios price to assume 0.56p per Avios. The results were interesting. As you can see, the Avios price is competitive with – and occasionally better than – Expedia. Should you book hotels with Avios? Based on the hotel prices at ba.com, you get 0.55p – 0.56p per Avios when you book a hotel with them. I have got similar results in previous years when I have done this experiment so it is safe to treat this value as fixed. What has changed is that ba.com pricing now appears to match Expedia. In the past I found examples where ba.com was overcharging and so giving you a false impression of what you were getting for your points. This does not seem to be the case any longer. It seems that Avios has either changed its hotel supplier or tightened up on pricing discrepancies. But is 0.55p per Avios a good deal? If you earn your Avios points from credit card spend, converting Tesco points etc, then you are unlikely to find 0.55p – 0.56p acceptable. Your Avios were not ‘free’ – you could have used a cashback credit card or redeemed for a different Tesco Clubcard offer – and you want to be getting nearer 1p per Avios when spending them. My ‘what is an Avios worth?’ article (click here) shows how 1p is easily achievable. If, however, you earn all of your Avios from business travel then you have no ‘opportunity cost’ for your Avios. You may find a hotel redemption worthwhile if you are struggling to find suitable flights even if you know it isn’t the best possible deal. Here is one final point to consider. Redeeming Avios for a chain hotel via ba.com, or paying for one via Expedia, means that you will not earn hotel points from your stay. You will also not receive any status benefits unless the hotel is feeling generous. You should bear this in mind when booking, especially if your status would otherwise get you free breakfast or free internet. It matches Expedia because Expedia is now the Avios.com hotel booking partner – confirmed by reservations staff at the St Regis Abu Dhabi a fortnight ago. That would be why then! Note to self, use booking com for comparison next time? Or skyscanner, it will bring up about 10 options, so scroll down. Surprisingly you will find plenty of good prices. Rob. 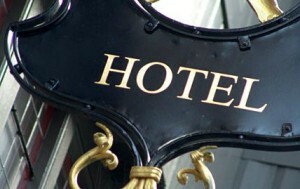 How many mass market hotel booking services are there? I know hotel com is either part of or book through Expedia, so I wonder how many there really are, and how many or just brands/portals for the same company. Expedia and Priceline pretty much cover the market. A semi interesting thing I noticed other day was that you could book half board rates at Park Hyatt Mallorca using avios. I couldn’t find half board rates elsewhere. Although only 0.55p/avios I’d consider using avios in this case good value as it’s basically the full holiday costs covered at a very expensive and luxury property (and not everyone wants to fly long haul). I’ve used points for hotel redemptions in the past and not regretted it. Agree. Also unlike award flights, hotel priced in avios change all the time so you can pick up a good deal l if you are prepared to do the work as per Matt’s comment @08.53. I think the answer is to always check the Avios price against your favorite hotel site or the chain site and then decide. I recently paid 8.750 Avios for a Dublin hotel that was exactly the location I wanted which priced out elsewhere at EU 129. That was a great redemption! The value of an Avios point is very flexible. I value them between 0.5p & 4.2p per Avios. This is because I frequently use them on domestic flights. A short notice, or busy LHR-EDI return flight can hit £700 in cash prices – but maxes out as 15,500 Avios + £50 in redemption costs. When you can buy millions of Avios at 1p each,… it’s hard to justify values higher than that. But you can value something at more than you can buy it for? Probably not. Surely the value comes from what you can buy with it? Imagine you buy a product X from shop A for tenner. But shop B sells it for 20 quid. Would you buy it from shop A or shop B, if the product is the same? All things equal we’d probably buy from shop B. But if you have the choice of spending them after a 7hr economy flight at 3am at a hotel on the terminal or, after another long taxi ride the other end of town with two kids, then the terminal hotel looks better value? When you book a Wedding or Conference at a major venue, the organiser is often offered a “Wedding Party” or “Delegate Rate” for attendees that’s significantly less than the openly published rates or has extras such as breakfast included. You just have to do a bit of research then call the hotel and blag yourself as a guest or delegate at the booking and check the room rate offered. It’s not foolproof, but sometimes offers worthwhile discounts. Wow that’s low!! Do people actually do that? What harm is being done? We will be doing that for our daughter’s wedding next year, completely shameless me! On another note, just been in supposed BA J lounge in Prague. Unbelievable bad choice of food. Few ham and cheese sandwiches. And PACKET SOUP YOU ADD BOILING WATER TO. We guested in a gang of pax across the corridor to grab hot chicken legs, yummy. Girls in priority lounge were laughing their heads off said they see it all the time! So we at least got some REAL FOOD, just in time. On plane..but will be writing to Mr Cruz. Not good enough, sir. Champagne on tap, which helped! 1st world problems, l know! Do you attend the wedding reception or conference dinner too? @Polly, are guest stays at the reduced rate still counting as qualifying do you know? OT but Avios related. I tried to move my Aer Lingus Avios (transferred from Iberia) but failed as email addresses were different so the BA customer service told me how to change my email address. However my email that marches with one I used is already registered for my children’s BA account so they have said it’s not unique and hence, have rejected the request! How do I move my Avios to BA now? If all other data fields match (DOB, name, address) the email match should not be required. Why not just change the email on the kids account if absolutely necessary? OT: how does it work in practice to book BA 241 redemptions for popular routes? I know you have to call US booking line midnight 355 days out, but how does it actually work? Can you call them few min ago and ask them to hold the line for few min and pick up tickets right at midnight? I booked CPT recently (and a couple of years ago) as singles online and then sorted out in the morning. I always use Avios to book hotel rooms. I have plenty of them and rarely use them for flights. If they are just sitting there doing nothing, might as well use them to save cash outflow! I never criticise the people who settle for 0.5p/ point valuation either – they can do what they like with their assets, they might escape a nasty devaluation or worse, they probably got the points for free through work trips. As numpties go, they are not genuine numpties & only halfway down the scale – the true numpties are those who use Tesco vouchers for groceries. A sell price of 0.5p is low but a buy price of 0.5p isn’t. True if you keep valuations low you won’t get bitten, mainly because you won’t spend real money (or possible opportunity costs) to acquire them. It’s basically an investment like any other.